Your new Wi-Fi Hub is a breeze to get connected. Simply plug it in, switch it on and away you go. 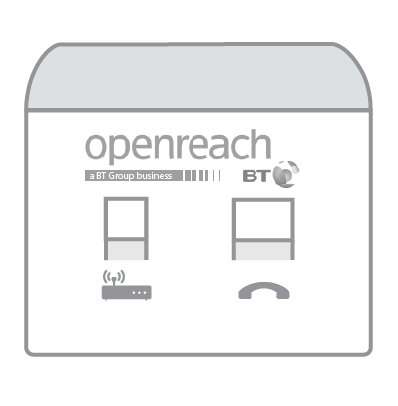 Before you get started, make sure you unplug your old router and any other broadband equipment. The light on the front of your Wi-Fi Hub will change colour depending on the status of your connection. Blinking amber – Your Wi-Fi Hub is starting up. 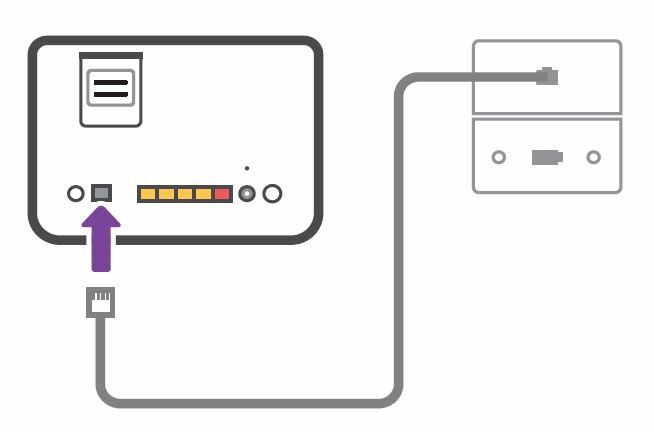 Blinking amber and white – Your Wi-Fi Hub is connecting to the Internet. Solid white – You’re connected to the Internet. Solid amber – Your Wi-Fi Hub is verifying your connection. If you’ve got Fibre you should wait a few minutes. If you haven’t got Fibre, or the light stays solid amber for more than 15 minutes, please contact us. Standard master sockets have one port on the front. 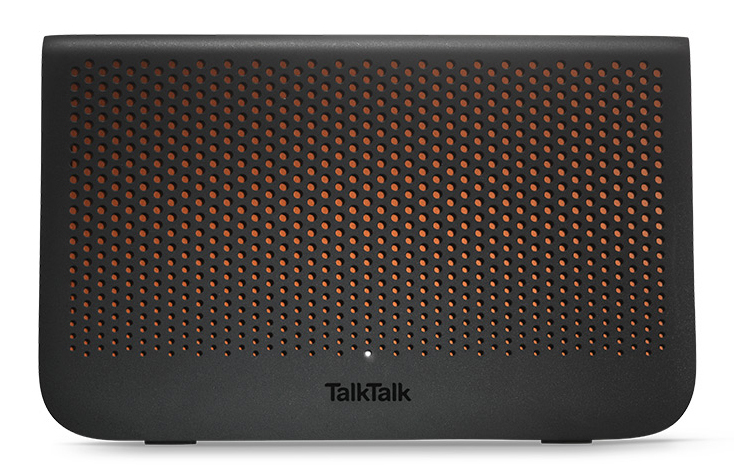 When connecting your router to a standard master socket, you'll need to use a microfilter. This stops your phone and broadband signals from interfering with each other. You'll also need to plug a microfilter into every other socket you're using in your home. Pre-filtered master sockets have two ports on the front. 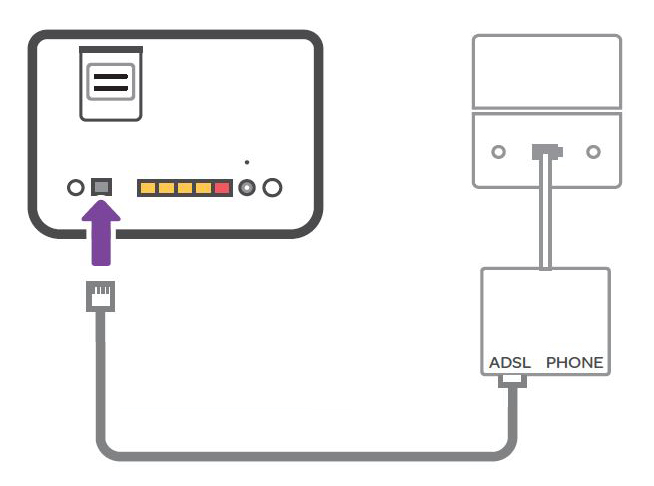 This means that your line is already split between your phone and broadband connection. You don't need to use any microfilters if you have a pre-filtered master socket. You can plug your router straight into it. The way you set your router up depends on which master socket you have. Choose yours from the options below. Plug the microfilter with the broadband cable attached into the master socket. 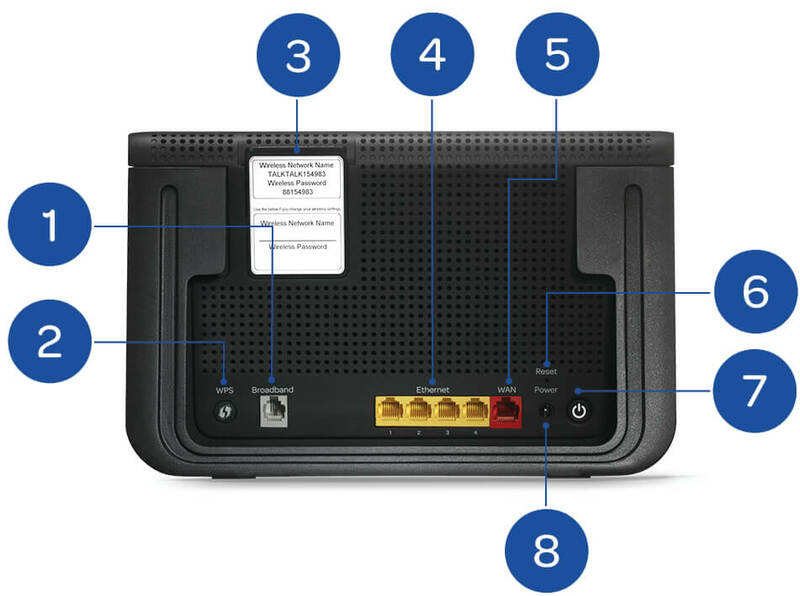 Plug the other end of the broadband cable into the broadband port on your Wi-Fi Hub. Insert the power cable into the Wi-Fi Hub’s power port and plug it into the wall. Turn on the switch. Push the Wi-Fi Hub’s power button. The light on the front of the Wi-Fi Hub will come on. 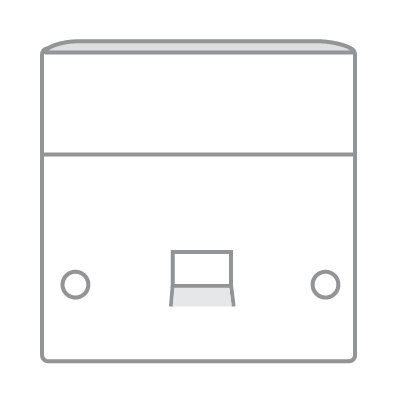 Plug the broadband cable straight into the top or left-hand port on the master socket. Insert the power cable into the Wi-Fi Hub’s power port and plug into the wall. Turn on the switch. To use a wired connection, simply plug the Ethernet cable into your device. Then plug the other end into any of the yellow Ethernet ports on the back of your Wi-Fi Hub. Follow the instructions that came with your device about connecting using WPS. Press the WPS button on the back of your Wi-Fi Hub until the LED on the front of your Wi-Fi Hub starts flashing amber. When your device has connected to your Wi-Fi Hub, the LED will turn solid white. If the connection fails, the LED will flash amber again before returning to solid white. Wait until the LED turns solid white and then try to connect again. Got UFO or Faster 150 Fibre? Your setup will be a little different from the above. Here's how to set up your Wi-Fi Hub if you have UFO and how to get set up if you've got Faster 150 Fibre.